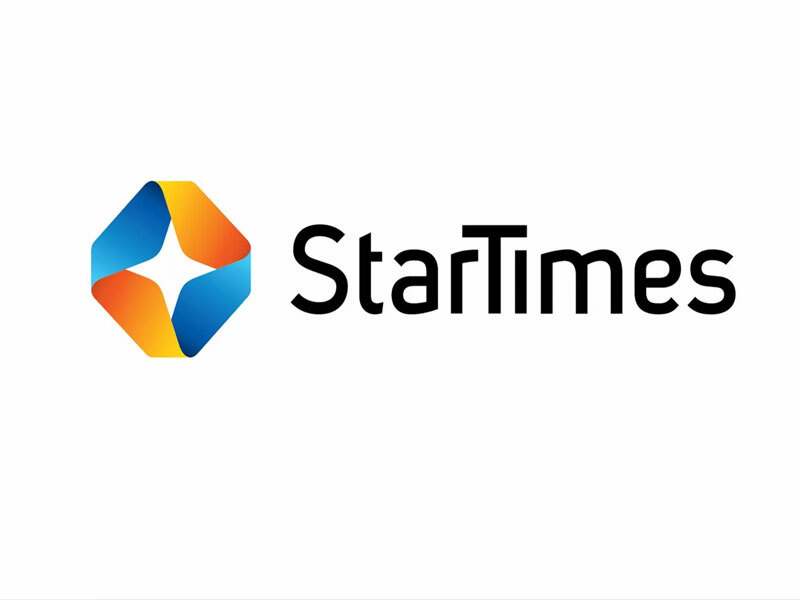 Do you use Startimes decoder and you are asking how to recharge your Startimes decoder using your phone with your Gtbank account, then you are in the right place. I will be showing you, or rather teaching you how you can recharge your Startimes decoder or rather pay for your Startimes subscription using your GTbank account with your mobile phone in 2019, be it Nokia torch light or any non-smartphone. Many have being asking how they could recharge their Startimes with their GTbank account, although their are other methods of recharging your Startimes decoder but I am just stressing on using your Gtbank account via your mobile phone, I will be showing you the code.. It's here now, I will s how you. Why I am sharing this is because to me I feel it's a very easy and convenient way of recharging your Startimes decoder. You know why? because you do not need to walk, trek, drive or run to to your local Startimes dealer and maybe they are showing an interesting event and you meet a queue like that of the only Nigerian filling station selling fuel during the heat of fuel scarcity, for me I will shout saying "It's the easiest mode" for you it may be otherwise. Another reason I like this method is that with my small Nokia torch phone I could just dial the code needed to recharge my Startimes decoder, I will do that with ease, no need for data subscription for me to do that. Ok, let's leave discussions and move on to what brought us here; "How to recharge my Startimes decoder with my phone through my Gtbank account or maybe you could just be looking for the code that you will use in subscribing, It's here. Like I said earlier, for me this is the easiest way to recharge your Startimes decoder. * The first step is to get your Startimes Smart Card. * You will then use the above code on the phone number you used to open your GTBank Account, of course you can't just use of any of your phone numbers. * You should understand that the "AMOUNT" is the bouquet you want to subscribe for. Let's say you want to subscribe for Nova bouquet that is N900 you will enter 900, if you want to subscribe for Basic bouquet that is N1,300 you will enter 1,300, if you want to subscribe for the Smart bouquet that is N1,900 you will enter 1900, Classic bouquet that is N2,600 you will enter 2,600, if you want to subscribe for Unique OR Super bouquet that is N3,800 you will enter 3800. * Then after the amount "SMARTCARDNUMB" is your Startimes decoder Smartcard number that is situated behind the card, that's why I said you should get your you Startimes Smartcard. The number is a 12 digit number, just type it into your phone. * After you must have dialed the code, let's use this for sample: *737*37*600*123456789101#, you will now instantly receive a confirmation message that will tell you to enter the last 4 digits of your Gtbank Mastercard number. This is to prevent other people or let me use the word criminals from just taking advantage of you. So that nobody would not grasp your phone, dial the code with the amount and his/her own personal Smartcard number and recharge his/her own then you will now be paying for what you did not subscribe for. *Now after you must have entered the last 4 digit of your GtBank Master Card, just calm down within 1-2 minutes, insert your Startimes Smartcard and then leave it at a certain channel, you will then see that it has been subscribed, by that time you will be happy. * But there's a service charge of N100 which for me is cheaper than trekking or driving to your nearest dealer's office and probably waiting on a queue. 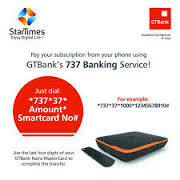 You see how technology has made life easier for us, we don't need to stress ourselves, just by simply dialing the Startimes/GTbank code *737*37*AMOUNT*SMARTCARDNUMB# ..
Startimes is a simple direct-to-home pay TV service that has lots of channels , it was established in 1988 in China, that's why you will see a lot of "Jackie Chan" commercials in it's guide channel...LMAO. The company is headquartered in Beijing, China and talking about it in Nigeria, it just came in by 2010, it partnered with the Nigeria Television Authority (NTA) to provide pay TV services to Nigerians at affordable rates. I tried this method and it didn't work.